There is much to attract wildlife enthusiasts to the New Forest coastline, and in particular, the south-western section which represents well all that is best of this marvellous stretch of countryside. Here, then, is a brief introduction to many of the more significant aspects of the New Forest's coastal wildlife. (Skip down the page for links to more detailed information about the Wildlife of Keyhaven, Pennington, Normandy, Hurst and Lepe). Managed by Hampshire County Council, the Lymington - Keyhaven Nature Reserve boasts ponds, ditches and shallow, saline lagoons; grazing marshes; reed-beds; pastures; ancient green lanes; hedgerows and assorted patches of trees, scrub and shrubs: a utopian world of important wildlife habits. Beyond the seawall is an ever-changing landscape of mudflats, salt-marsh and shingle islands leased by the Hampshire and Isle of Wight Wildlife Trust, whilst the Solent to the south and Christchurch Bay and Swanage Bay to the west form impressive backdrops. Extensive reed-beds surround Avon Water close to its outflow to the sea, whilst nearby Sturt Pond provides yet more valuable space for wildlife. And, of course, Hurst Spit, a 2.5 kilometres (1½ miles) long finger of shingle snaking out towards the distant shore of the Isle of Wight, provides yet more landscape diversity and forms an effective protective barrier between salt marsh and ocean. 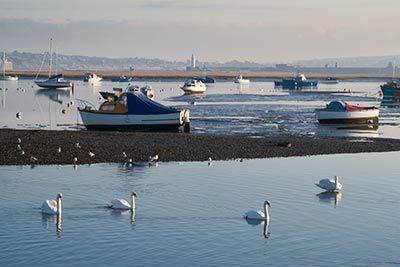 To the east of Lymington, mudflats inhabited by a wide range of wading birds are accessible around Pitts Deep, whilst Needs Ore has a shingle shore and wet meadows, grazing marshes, the estuary of the Beaulieu River, a number of shallow pools and lagoons, bordering reed-beds and farmland. A little offshore here is Gull Island, an area of shingle, grass and salt-marsh where varying numbers of sandwich, common and little terns breed alongside often large numbers of breeding black-headed gulls, all enjoying relative safety from mammalian predators. Note: access to Needs Ore is by permit only, available from the National Motor Museum at Beaulieu. 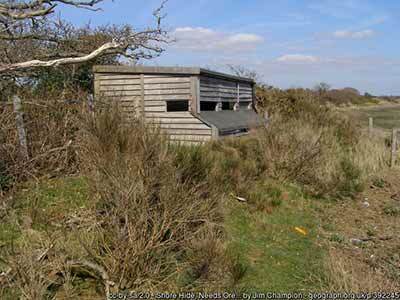 Lepe Country Park overlooks the Solent shore and enjoys fine views across to the Isle of Wight. The country park and surrounding area offers impressive habitat diversity - a sand and shingle shore, mudflats, wild flower meadows, traditionally managed hedgerows, woodlands, farmland, a stream, reed-beds and ponds - and consequently varied wildlife. 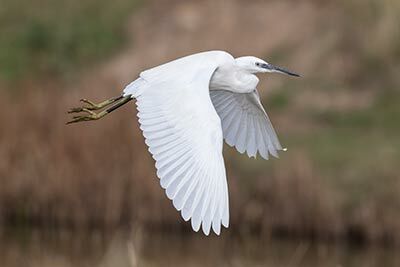 Wading birds, wildfowl and gulls can again be viewed around the mudflats, salt-marshes, shingle shores and muddy creeks of Calshot, Ashlett Creek, Hythe and Eling, whilst nearby farmland, hedgerows and small areas of woodland provide further variety. The Lower Test Nature Reserve - located on the edge of Southampton, overlooked by the busy A35 and bordered by not one but two railway lines and the M271 - offers a real treat, too, with its bird watching hides, floodplain meadows, marshes, reed-beds and pastures, and the Test Way public footpath which crosses the reserve. (This reserve superbly illustrates that wildlife can comfortably live in close proximity to towns and cities, providing, of course, that suitable habitats exist and that disturbance is minimised). It is perhaps the birdlife for which the area is perhaps best known. In addition to year round residents, it has been estimated that in winter around 10,000 waders and wildfowl inhabit the Lymington - Keyhaven Nature Reserve alone, finding food and refuge from harsher weather further north and east. Breeding bird numbers are also impressive and include spectacular spring and summer visitors such as Sandwich, Common and Little Terns, and resident ever-noisy Cetti's warblers; whilst spring and autumn bring an influx of birds of varying shapes and sizes that stop over to feed and rest for a short time before resuming often lengthy migratory journeys. Sightings of dragonflies and damselflies always add a splash of colour and pleasure to the day, and so do butterfly encounters. 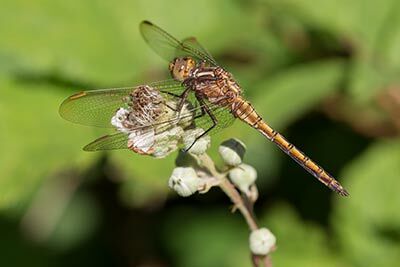 Of dragonflies and damselflies, look out, for example, for large red damselflies, black-tailed skimmers, common darters and broad bodied chasers. Butterflies present might include orange tips, common blues, green hairstreaks and rarities such as Glanville fritillaries, wall browns and, from around mid-May, influxes of clouded yellows that arrive annually in hugely varying numbers. And of course, a wide range of bumblebees and other attractive (and not so attractive) insects can be seen. With such an impressive variety of wildlife habitats dotted along the coastline, ranging from salt-marsh to aged woodlands, and shingle to grazing meadows, a wide range of spring, summer and early autumn wild flowers will almost inevitably be abundant. Look out inland, for example, for wood anemones, bluebells, greater stitchwort and green-winged orchids, whilst the familiar white flowers of cow parsley will brighten the hedgerows in more open places from April until June. 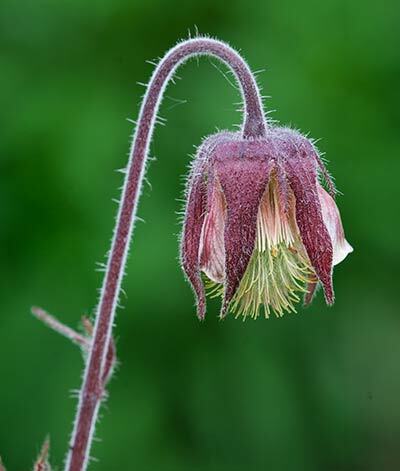 In the damper areas, also from April until June, the lilac or white blooms of cuckoo flower, or lady's smock, as the plant is sometimes known, will attract orange tip butterflies to lay their eggs on this favourite food-plant of their caterpillars; whilst in spring and summer, the bell-shaped, dull pink flowers of water avens will be on show. Salt tolerant species, perhaps not surprisingly, can be found close to the coast. Yellow horned-poppies, rock samphire, sea pink, sea campion, sea kale and sea beet are amongst the more prominent examples. Mammals can regularly be seen, although most tend to be fairly elusive, particularly when people are about, and venture forth at dusk and retire not long after dawn. But foxes, strikingly handsome creatures when well-fed and in summer coat, sometimes buck the trend and sit out on the marshes sunning themselves although, cute as they often appear, these opportunist feeders can play havoc with local colonies of breeding seabirds posing that age old question about whether it is right for conservationists to intervene. Badgers inhabit some of the older woodlands and denser hedgerows, rabbits are widespread, whilst hares are most frequently seen at dusk. 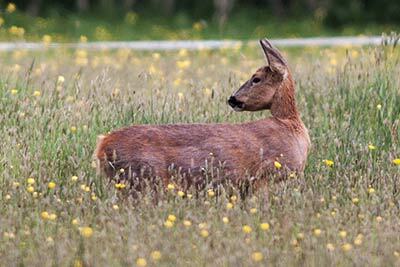 Roe deer, too, most often emerge to feed at the end of the day, and stoats and weasels use all their cunning to 'make ends meet'. Mice, voles and shrews also occur in good numbers, and provide food for the foxes, stoats and weasels, and also for predatory birds such as kestrels, barn owls, tawny owls, short-eared owls and harriers. Larger aquatic mammals are also well represented: otters have been recorded in Lymington reed beds and also in Avon Water, and common and grey seals in the Solent and Southampton Water. Often overlooked by all but the keenest enthusiasts, reptiles and amphibians can also be found along the coastal strip. 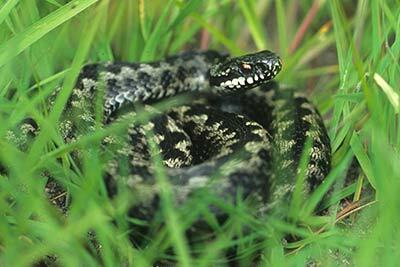 Early on spring mornings, adders, the UK's only poisonous snake, can sometimes be seen basking in the sunshine on sheltered, south-facing banks; warming up before going about their daily business. Dark zig-zag patterning on conventionally coloured individuals is a good identification feature, but take care not to get too close as, if cornered, accidentally trodden upon or otherwise antagonised, they will bite. Fatalities are very rare indeed, but the bite can be very painful - children recover quickly but in adults it may take weeks or months for the affected limb to fully to get back to normal. Grass snakes - usually larger than adders but completely harmless - also occur and so do common lizards and smooth snakes, which are not snakes at all, but legless lizards. Common frogs, as their name suggests, are widespread. They travel to freshwater to breed and their spawn can sometimes be seen as early as January in mild winters. Yet maybe oddly, common toads are far less 'common' and so are newts, although it's virtually certain that smooth, palmate and great crested newts all occur in and around freshwater ponds in the area. Reflecting the amazing variety and abundance of wildlife to be found here, a large proportion of the area is a Site of Special Scientific Interest (SSSI), and the Solent and Southampton Water have been designated a RAMSAR site especially important for waterfowl and are a Special Protection Area (SPA). Other conservation designations include the Keyhaven and Pennington grazing marshes, Sturt Pond and Calshot Marshes as Local Nature Reserves, and the Lower Test reserve as a Site of Nature Conservation Importance (SNCI). There are also two Special Areas of Conservation (SAC) - the Solent Maritime SAC and the Solent and Isle of Wight Lagoons SAC.